iPhone 7 and 7 Plus Long Term Review, Better Then iPhone 8 and 8 plus? 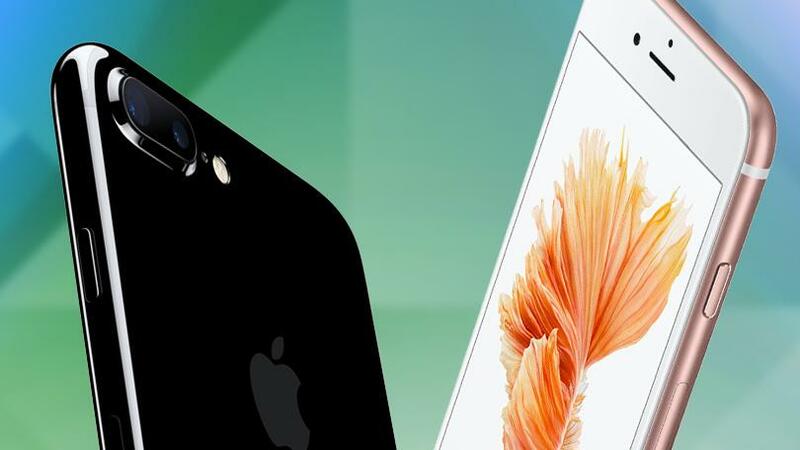 iPhone 7 and 7 Plus already have a successor iPhone 8 and 8 Plus, however, they were the top-tier smartphones in 2016 and are still being sold at a great scale. So, let us take a loot regarding the differences and similarities between them in order to help sort out which one fits you better. Nevertheless, if you were expecting for apple to rewrite the iPhone design with the iPhone 7 and Plus, well you should be prepared for disappointment. With those curved sides and that aluminum build, both of them seem quite similar to their predecessor. Something that has change is that the antenna lines—which a lot of people felt uncomfortable with, have been changed. They seem to snake to the top now, instead of the back. One of the biggest differences in appearance is that the phone comes in different options of colors. There is the darker black option and the glossy black variant that rest next to the usual gold, rose gold and silver colors, now. A slightly altered camera hump is now featured by the two devices. The iPhone 7 Plus is not only a bigger phone but a heavier one as well. It continues to have the same chunky bezel as it used to as well as a 5.5-inch 1080p display in opposition to a version of 4.7 inches. It seems to be better for media and for video games but it is still a big-sized smartphone that feels difficult to hold and to manage with one hand. This time, Apple has improved the width of the color of the gamut of the screen for better and more accurate representation of videos and pictures. Their water resistance has been enhanced to IP67 meaning that they can resist water splashes equivalent to mild drizzle without any persistent damage. The iPhone 7 presents a 12-megapixel OIS camera on the back just like the iPhone 7 Plus. They present a wide-angle lens and a telephoto. You can switch the two sensors or use both of them together in order to offer an optical zoom-like type of effect. The will also be a little of after-the-fact shot refocusing. Another important change is that the headset jack has been replaced by an extra set of stereo speaker. It is a big change, but an expected one, though. To lessen the change shock, there is a set of EarPods that are plugged directly into the same port and offer a 3.5 mm audio output. The iPhone 7 and 7 Plus is powered by a new chip called A10 Fusion. This makes a big change for Apple going from 1.8 GHz to 2.4 GHz. Both of them come with a 32GB storage that can be upgraded to 128 or 256 GB. There is not a 64GB storage option which is odd in terms of Apple. Finally, the bad news is that the iPhone 7 does not have a powerful battery meaning that its battery life is somewhat short.